“Be Nice” easy mouth skills for puppies. Puppy biting, does anyone escape the painful bite of that adorable little being you’ve brought home? If the number of questions, comments and frustrations vented on social media are any indication, puppy biting is a source of never ending concern for anyone sharing their life with those adorable tooth holders we call puppies. 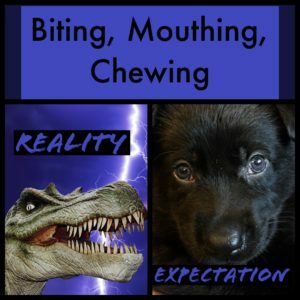 While puppy biting has a plethora of causes, from fatigue, to arousal, to over excitement from too much handling, the root cause is that puppies absolutely MUST chew, bite, and mouth. A dog’s mouth is it’s most important tool, it has just a few week to learn to develop proficiency. And those teeth, sure the razor sharp ones we can see and feel, but up there in that jaw are the permanent teeth, and the jaw is preparing for their arrival in just a few weeks. So puppies have a driving physical need to chew, to literally, cut their teeth. But that doesn’t mean we are powerless in the face of so many stabby things! The Be Nice Lesson won’t magically transform your puppy into an adult, but it will give your puppy a different way to interact with your hands, and teach him to lick (be nice) instead of mouth your hands. Practice enough, and your puppy will learn to lick on cue, you can then ask for licking when your puppy is mouthing your hand. A few tips, when you apply the food to your hand, be sure to use a fairly thin layer so the puppy is less tempted to bite at the food (but it’s ok if they do, they are just learning), just wait to mark until they lick. Supplies: A calm puppy, a thick pasty food like cream cheese or peanut butter. Sit down on the floor or a low chair so your puppy can reach your hand without jumping. Place your food within reach, but out of your puppy’s reach. Smear a thin coat of cheese on the back of your hand. Offer your coated hand back to the puppy. Allow the puppy to lick, CLICK (I use a tongue click) for licking. Feed a treat a treat from your free hand. Offer your coated hand again (pause to reapply cheese as needed) letting the puppy lick the food for a few moments, say “be nice” as the puppy licks, then CLICK, and feed a treat from your free hand. Repeat, letting the puppy gradually lick most of the food from the back of your hand as your session progresses. Test what your puppy learned by offering your hand without any cheese left on it, say “be nice” and see if your puppy understands and licks. Click, treat from your free hand.Tips! Keep sessions short, set a timer for 2 minutes. 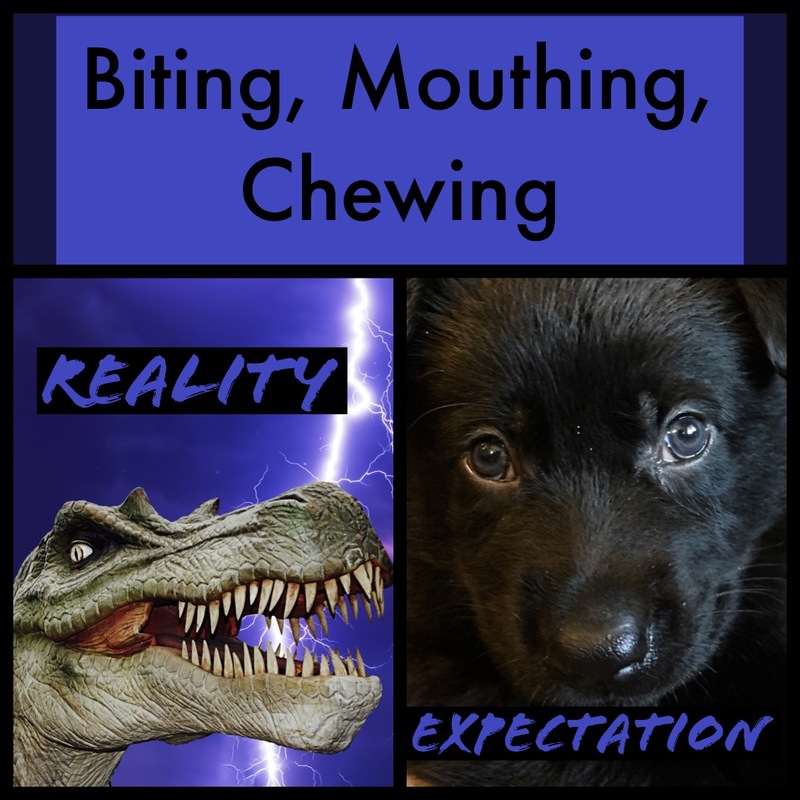 Try to plan a session when your puppy is calm and resting, once or twice per day.If your puppy bites instead, just wait a bit, and see if puppy can find the answer you are looking for. Be sure to practice in every room of your house at least once before you try to use this “for real”.Yes, this also works for adult dogs who tend to mouth your hands. As always, if you need help with a biting puppy you can Contact Us and schedule an in person, or distance, consultation. Here is a link to the FB Live video I did recently with puppy Titan.